With the festive season just around the corner, we’ve started making a list of the parties we want to attend, as well as shopping for super-stylish outfits befitting the occasion. Some of us are even thinking of throwing a few soirées of our own, so we can bond with friends and family in the comfort of home. But it isn’t just Christmas that we’re excited about — we’re also looking forward to New Year’s Eve on 31 December, 2016, when we can usher in a brand new year while enjoying a sumptuous meal with our loved ones. And we’re already planning to celebrate at Grand Hyatt Singapore, which has rolled out five festive dinners that culminate in an extravagant Belle Époque-themed countdown party. 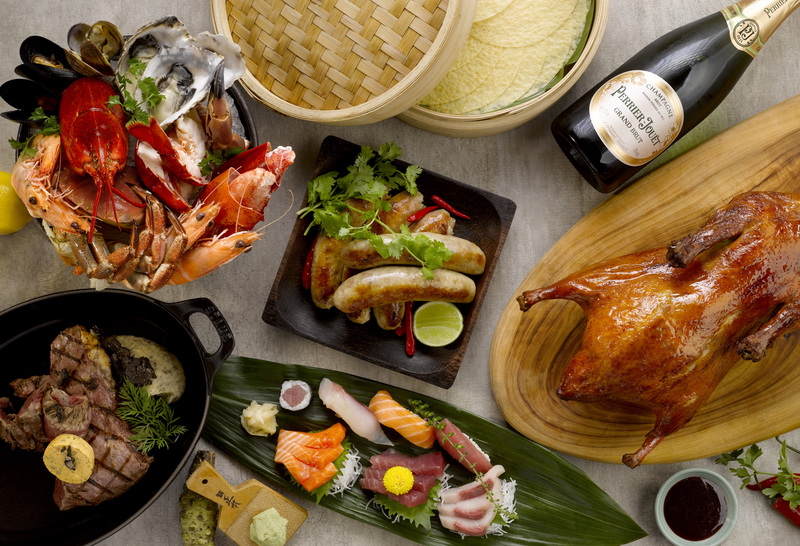 From a ritzy countdown party to a slew of indulgent dinners, Grand Hyatt Singapore has got you covered for New Year’s Eve. A highlight is mezza9 restaurant’s buffet, which offers a smorgasbord of cuisines including Chinese, Thai, Western and Japanese food. There are also hearty meat dishes such as British Red Roll prime rib and Dingley Dell pork racks, and sustainably sourced seafood spanning Tasmanian blue mussels, Fine de Claire oysters and scallops. The buffet is priced at S$298++ and comes with alcohol. If you’re more inclined towards local delights, head over to StraitsKitchen for tempting Chinese, Indian and Malay fare. Must-try dishes include oxtail soup, Peking duck rolls and — our favourite — lobster masala, where the succulent crustacean is smothered in a spicy, aromatic masala sauce. 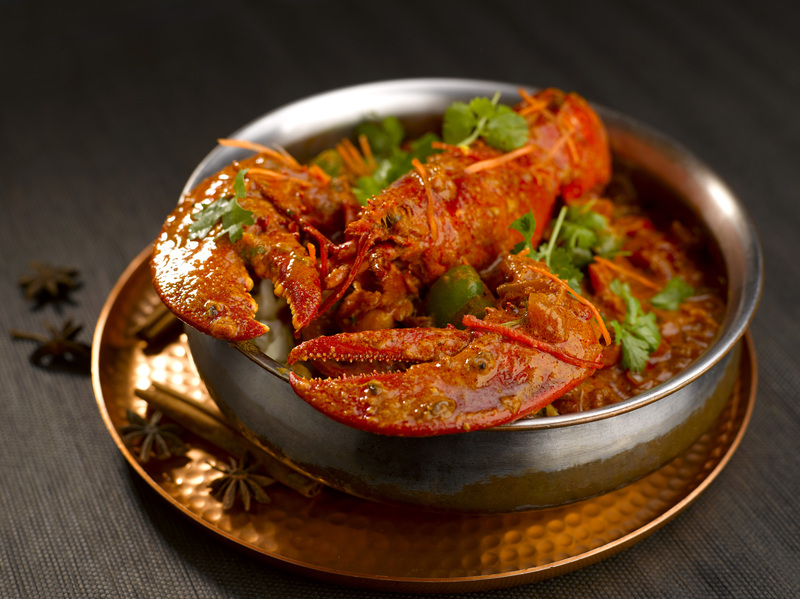 StraitsKitchen’s lobster masala is an absolute must-try. 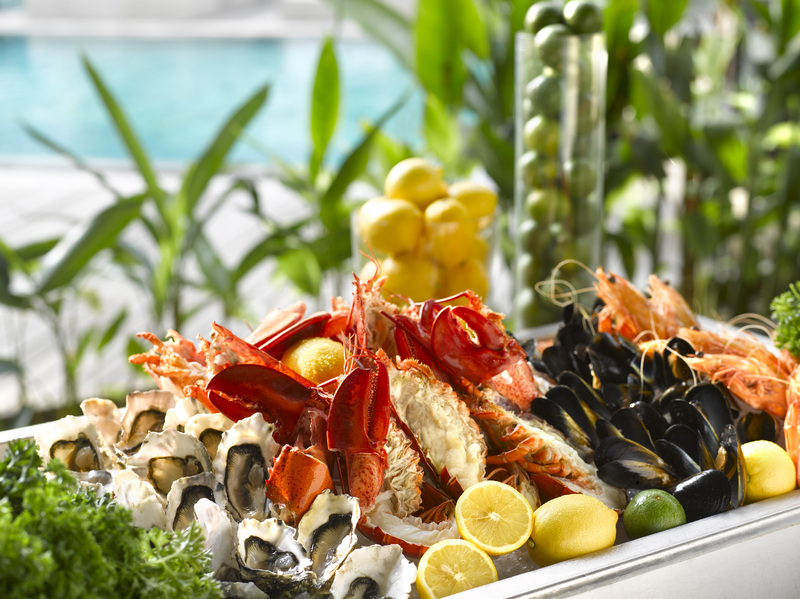 The spread also features a sustainable seafood bar of poached tiger prawns, Boston lobsters and Alaskan crab legs. It is priced at S$188++ (with alcohol) and S$138++ (without alcohol). 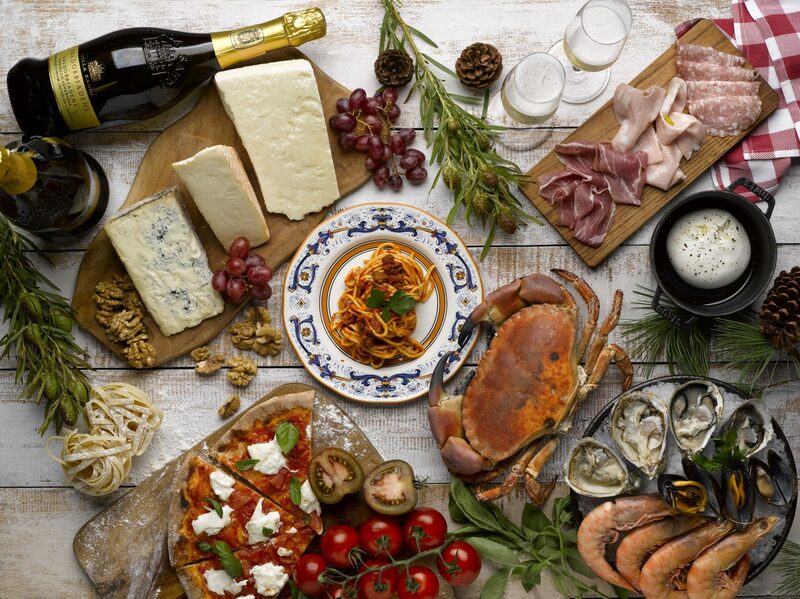 For scrumptious Italian food, don’t miss the buffet at Pete’s Place, where you can devour pastas, wood-fired pizzas, risottos and various antipasti dishes such as beef carpaccio and salami. There is also a carving station dishing up tasty mains the likes of oven-baked porchetta, roasted Australian grain-fed ribeye and salt-crusted barramundi. The buffet is priced at S$188++ with alcohol. 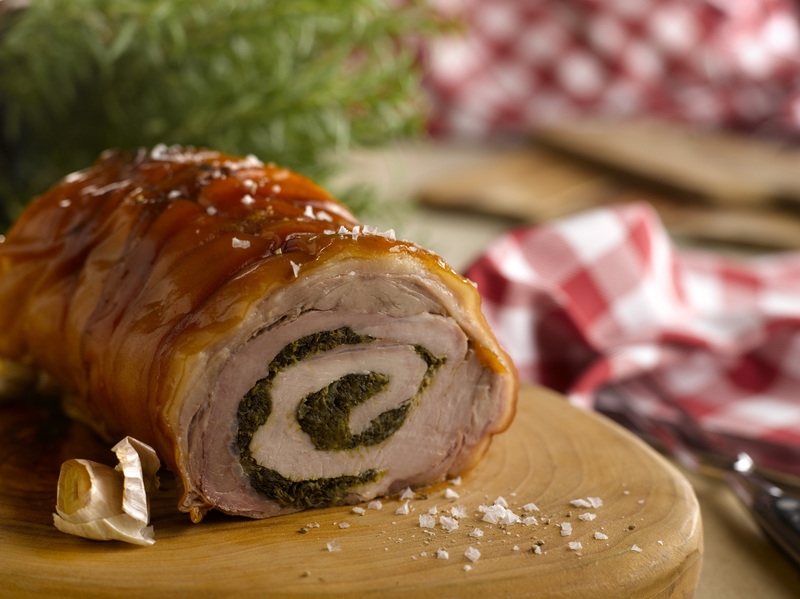 Dig into delectable meats the likes of oven-baked porchetta at Pete’s Place. Even 10 SCOTTS, which is more known for its delicious afternoon tea and cocktails, has jumped on the bandwagon with a decadent spread of freshly-shucked oysters, sustainable sashimi such as Pacific yellowfin tuna and Atlantic salmon, and baked salmon coulibiac — where the fish is ensconced in pastry. Tickets are priced at S$188++ and include alcohol. Another place worth stopping by, is the hotel’s poolside Oasis Restaurant, which will host an alfresco barbecue dinner of beef sirloin, lamb cutlets, sambal tilapia and spicy gai yang chicken (Thai-style grilled chicken) — all seared to perfection on the grill. Diners can also indulge in seafood, salads and desserts such as plum pudding soaked in Jack Daniel’s whiskey. The meal is priced at S$98++ and is paired with alcohol. Pamper yourself to fresh seafood at Oasis Restaurant. All the New Year’s Eve dinners — with the exception of Oasis’ — come with complementary entry to Grand Hyatt Singapore’s hotly anticipated Belle Époque countdown party. The lavish jamboree takes place in the hotel lobby, which will be transformed into an elegant, 19th century-inspired space for that evening. It features a free flow of drinks such as Perrier-Jouët Belle Époque vintage champagne, and a diet-busting dessert banquet from 9.30pm onwards, so guests can welcome 2017 in style. For guests who want to attend just the party, tickets are priced at S$88++.